What would be your strategy during the zombie apocalypse? Drink stronger coffee?? When looking for a book to read, what draws you to pick a particular one? Back cover copy - a strong hook. Cover art. How do you tackle writer’s block? Stronger coffee. What's your strength as a writer? What’s your weakness? My work ethic is my strength. My wandering mind is often my weakness. You can go anywhere in the world you want, right now. Where do you go? The beach, alone. R.J. Belle began writing as a teenager as a way to express her creative side. In 2013 she made the jump into writing for publication. R.J. left her career to write full time and within three months published her first Fiction Novel, First One Down: A Paul Sutton series novel. With a new stunning cover and additional editing First One Down is set to re-release in April 2016. Book two in the Paul Sutton series, Second Sight, will release summer 2016. R.J. released her first non-fiction project in 2016 - AFTER: The Battle Has Just Begun. 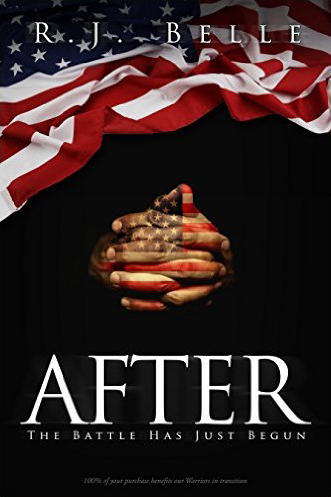 After explores the daunting task of physical and emotional recovery and rehabilitation for eight combat-injured men and the private non-profit that assisted in all eight transitions. 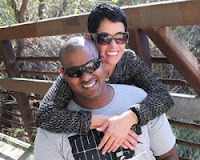 R.J. lives in Southern California with her family. Meet eight combat-injured men who sustained life-altering injuries. Read eight inspiring stories of heroism and the re-building of independent, productive and fulfilling lives after seemingly impossible circumstances. This project looks at the struggles of these incredible men to reshape their lives after combat. It also sets these stories within the context of current veteran healthcare; injury, suicide, and disability statistics; and looks briefly at the impacts on the caregivers who support these men. Being face-to-face with combat-injured veterans has given me an insight that all Americans should have. Veterans of the Vietnam era began the process of opening our eyes to the grim realities that await veterans both psychologically and physically. These men’s stories show how much more we have to accomplish. This book isn't about war or politics - it is about figuring out what it takes to move forward AFTER the war. I wrote this book to raise awareness of what our warriors need most when they return, what the government does and doesn't provide and why there is a high demand for private non-profits to fill the gaps. Make no mistake - we are in this period of recovery and rehabilitation for decades to come. It also introduces the non-profit organization Warrior Foundation~Freedom Station which has taken on the task of helping our combat-injured men and women make the daunting transition from military to civilian life. 100% of the proceeds benefit them in this much-needed labor of love. It's not about the war. It’s about the warrior. 100% of the proceeds benefit Warrior Foundation~Freedom Station.